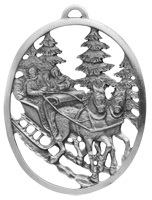 Christmas Eve is a night of joyous celebration and hurried preparation for the morning to come. 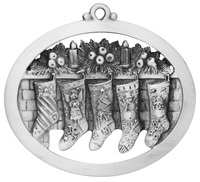 It is a night of excited hopes for both giving and receiving, when children hang their stockings in anticipation and wrap gifts with love. 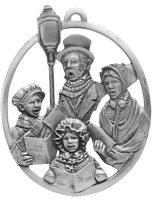 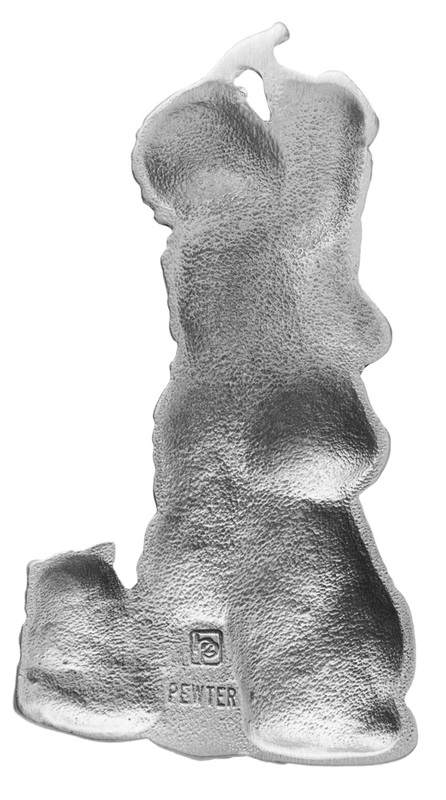 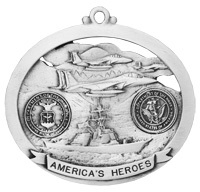 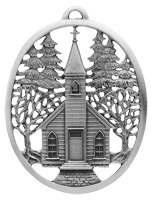 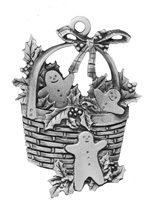 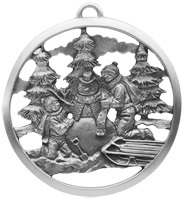 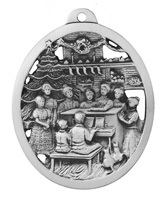 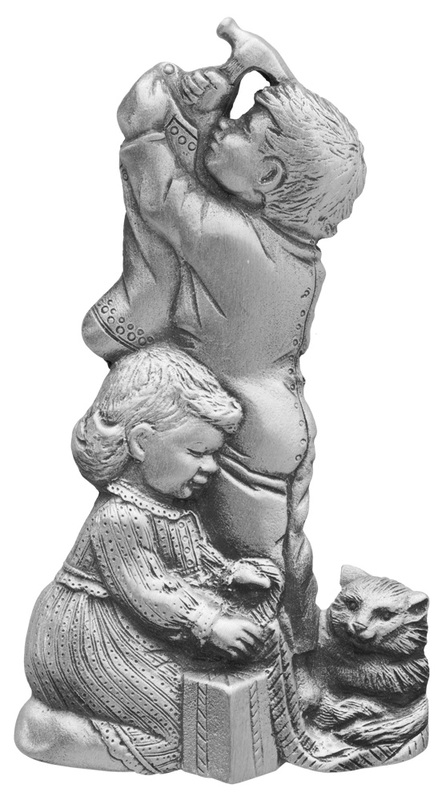 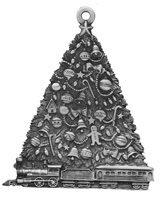 Now to adorn your family tree, Hampshire Pewter has artfully cast this beautiful ornament in authentic pewter. 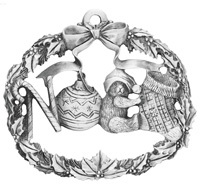 Working very carefully, the craftsmen of Hampshire Pewter have buffed your ornament to a soft patina for that special glow. 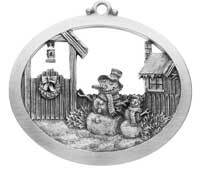 With minimal care your Christmas Eve ornament will hold its luster for years to come to express that special joy of the Christmas season. 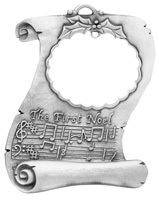 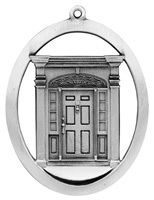 While there is no space for engraving on this ornament, please check out our Engravable Bow Hanger - Satin Finish.